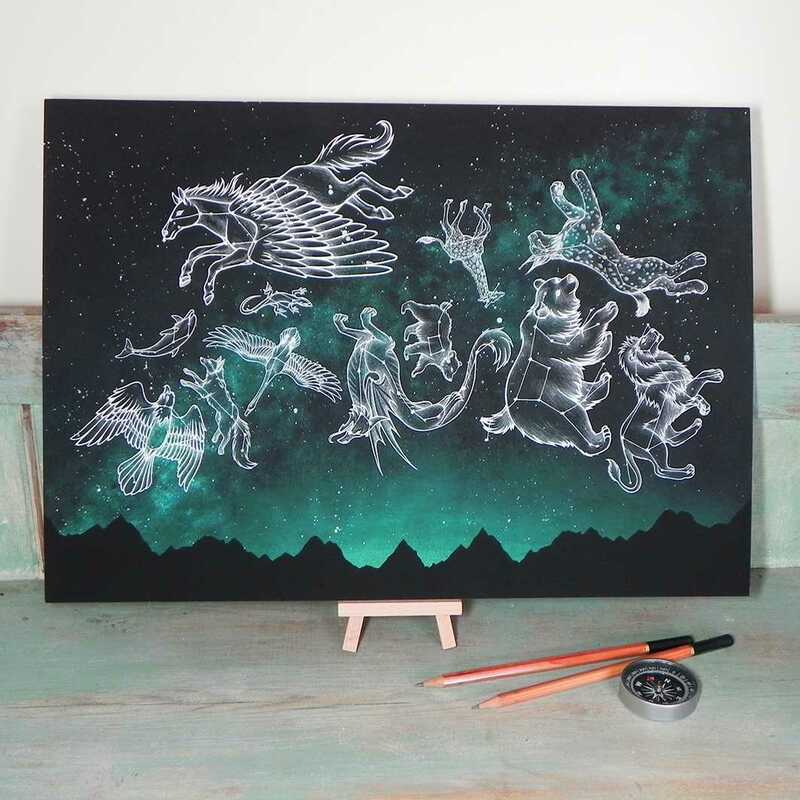 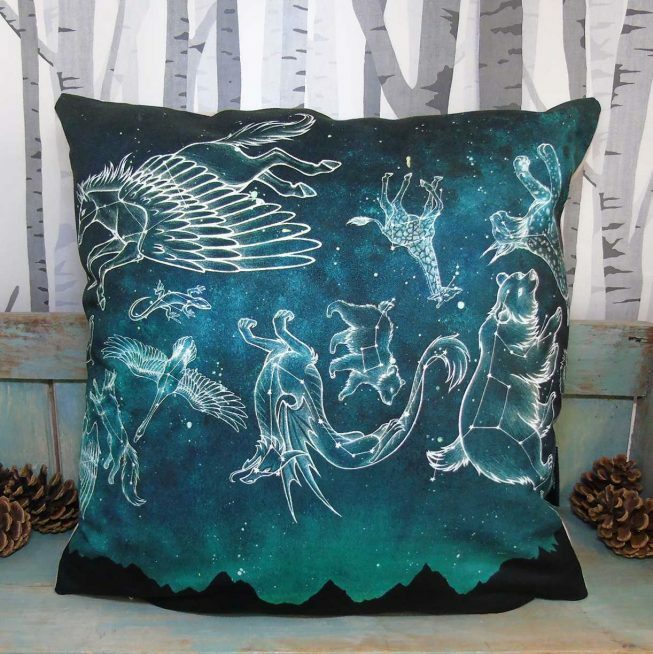 I’ve always been fascinated by constellations, so Midnight Menagerie was inspired by some of the animal constellations that appear in the northern hemisphere. 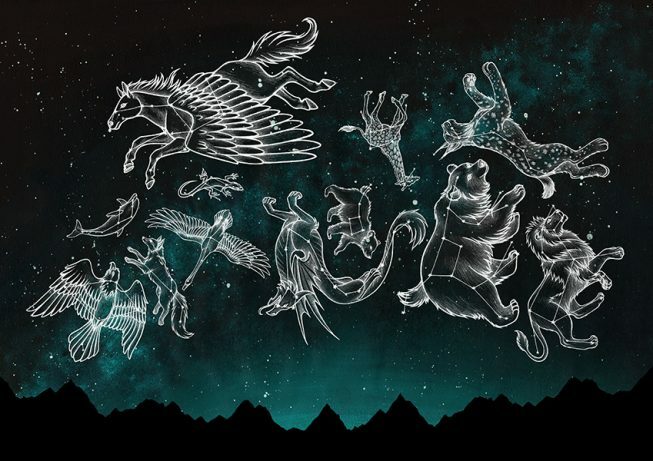 Some of the ones that you can spot in my illustration are Ursa Major (Great She-Bear), Vulpecula (Little Fox) and Leo (the Lion). It is a roughly accurate depiction of how these constellations are arranged in the nighty sky.